The Mount Shasta Collection is the largest repository of information and documents about Mount Shasta. 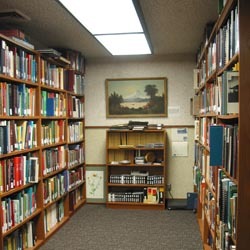 The collection consists of thousands of books, articles, manuscripts, photographs, maps, prints, and audiovisual materials about the Mount Shasta volcano and surrounding area. These materials are available at the College of the Siskiyous Library. The Mount Shasta Fact Sheet is a 4-page compilation of brief facts and information about Mount Shasta, California and the surrounding region. The purpose of the Fact Sheet is to answer the questions about the mountain most commonly asked by tourists. The Fact Sheet is also meant to be a useful resource for those who provide tourist information. The Mount Shasta Companion is temporarily unavailable online. Please contact the Library at (530) 938-5331 or online with questions about the Companion or the Mount Shasta Collection.